There are varieties of chillies worldwide. What we generally use in India is the regular red chilli, capsicum and bell peppers. Chilli is reported to be a native of South America and is widely distributed in all tropical and subtropical countries including India. It was first introduced to India by the Portuguese towards the end of the15th century. If we look at all the puja offerings as per the Vedic times, we will notice that none of those offerings have chillies in them, they are only spiced with pepper. The use of chillies in India was only after the advent of the Portuguese. Now it is grown all over India and is widely used in India and Indian cuisine is associated with being chilli hot. Chillies are now grown all over the world except in colder climes. As you travel by road and if you observe the village hawker keenly, you will see different chillies that we have not seen in the cities. The Tobasco sauce, which we love to sprinkle on our dishes gets its flavour from the red chilli. It is widely used to flavour food, some cocktails and starters like prawn cocktail. Dry chilli is extensively used as a spice for tempering curry dishes. It is also used as an ingredient in curry powder and for seasonings. It is used in making hot sauces as pepper sauce and Tobasco sauce to flavour served dishes. Paprika is a milder chilli used in Europe to make goulashes, and similar chillies with high colour and which are less pungent are widely used for colour extraction. This colour is highly popular among food and beverage processors for its use as a colourant because this is a Ê»natural plant colourÊ¼ and quite safe for consumption. As a medicine it is used as a counter to the irritant in lumbago, neuralgia, and rheumatic disorders. Capsicum has a tonic and carminative action. But the intake of chillies must be restricted or else it may cause gastroenteritis and lead to ulcers. The enzyme isolated from the chillies is used in the treatment of certain types of cancers. Oleoresin capsicum is used in pain balms and vapour-rubs. Dehydrated green chilli is a good source of vitamin C.
Capsicum is a genus of flowering plants. The chilli is the dried ripe fruit of the genus Capsicum. 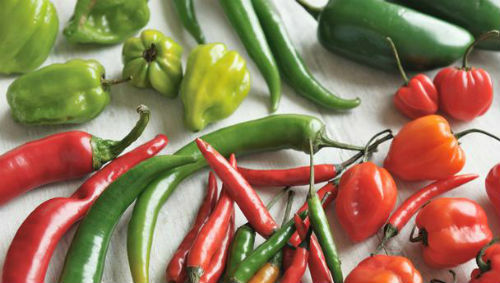 Capsaicin, the magic ingredient in the chilli, helps burn fat by increasing the body temperature when consumed. It makes the food tasty, no doubt. Very spicy food may not be good for you, but a little is a taste enhancer definitely, or else why would the pizza delivery guy give you chilli flake sachets? What chillies do is spice up the food and increase the body temperature. A lot of people perspire when they enjoy hot food. I am using the word “enjoy” to keep the perspective that I am talking about hot food within reasonable limits as per the enjoyment of individuals at their tolerance and preferential levels. So do not run and grab a whole lot of chillies! Indian food has the spice that increases the metabolic rate while we eat, which in turn makes us expend those few calories. But only that will not make you lose weight, hot food satiates Indians and we tend to be satisfied and eat a little less when the food is spicy. Boring insipid diet food is never incentive enough to stay on it. Instead, spice up the salad, you will enjoy it. A judiciously-made rasam will add that zing to diet without adding too many calories. It is important to stay happy on a diet, because that way one can stick to it and look cheerful and go through the ordeal without snapping our heads off or that of others. 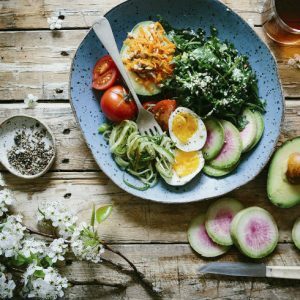 Feel free to comment or share your thoughts on this "Spice Up Your Diet" article from Awesome Cuisine.